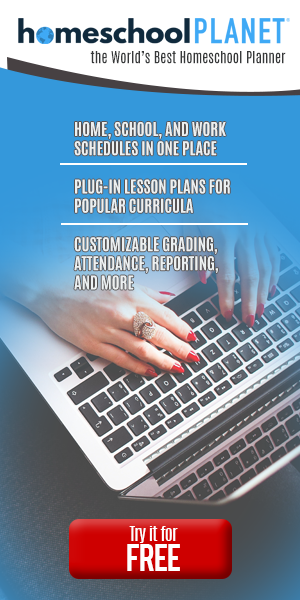 Over the years I have tried many different methods to organize daily curriculum. We’ve used baskets, shelves, tubs, even a dish drainer! About eight months ago, Aldi had these amazing carts for $25. I wasn’t sure I really wanted to buy one ($25 is a bit steep for me) and passed them up the first couple of times I saw them. But I just couldn’t shake the thought that it would be great to organize our daily curriculum. Eventually, I went back and bought one. And I am so glad I did!!! Shortly after purchasing the cart, I found some awesome file holders at Dollar Tree. I knew the perfect spot for them. Check out the video below to see what all I keep on the cart. Some of our favorite things in the school cart. . . I have four of those file holders, a 1 1/2″ binder and a pretty thick book on the top of my school cart. Any number of things would fit there. And as for the second and third shelves, I’m not even capitalizing on that space. Both shelves have a couple things just thrown on them. You could stand novel-size books down there, keep a smaller tub of colored pencils or crayons, or just keep some notebooks or binders stacked there. Like I said in the video, I love that I can take my school cart wherever we are in the house, even out on the porch! I foresee us using the school cart for many years to come! Our school cart has been the answer to the problem of how to organize daily curriculum. It’s mobile, stays relatively organized, and keeps everything just a reach away! Need some help making sure you get things done each day? Give my Weekly Routine Page a try! This post was written as a contribution to Week 2 of the Virtual Homeschool Fair. If you Aldi’s had these carts then I missed them as I would use one in my kitchen as well as my office and for homeschooling to. As I am tired of things just being thrown around everywhere. My Aldi had them back in July/August around back to school time. Hopefully, they will have them again this year! Yes, they are wonderful for catching those things that need a home, but you’re unsure where to put them. This sounds like a great organization idea! We used to have boxes for each of the kids. they were those milk crates that you can put hanging folders in. They had room for the books, their supplies and a place to keep their work. We spent more time trying to sort out their messes than utilizing them effectively. Oops. 🙂 This looks a little better because it is more mom-controlled. First off, I LOVED your *real life* video. It put a smile on my face. Thank you for sharing your cart organization. I love how *thrifty and frugal* the cost was for you. Great deals! They have those at Costco, I’ve been tempted by them. What a creative way to organize the school stuff!! Great idea! what a great idea! we now live in small quarters and with space at a premium, I’m always happy to see space-saving ideas. Thank you for sharing this with us! What are these carts called? How do I look them up? I need one! !